Cari Berryhill demonstrates energy, integrity, hard work & creative service in every detail of your real-estate transaction. 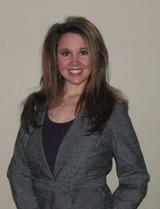 Cari’s extensive knowledge of Scurry’s residential market is unparalleled. She takes great pride in knowing the school system, churches, and the youth sports associations. She can tell you any detail you need to know about the community. Cari Berryhill is a focused listener, able advisor and fair advocate, Cari is known for her intuition and diligence while having encouragement and genuine concern as she creates a positive experience for both sides in any property transaction. I confirm that I worked with Cari Berryhill in the buying or selling of this property.